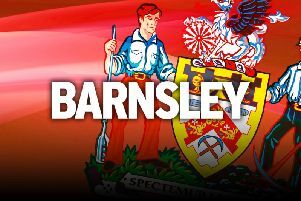 Cameron McGeehan is flourishing in the Barnsley side after getting a run of games, assistant head coach Andreas Winkler says. The midfielder has been on the periphery of the Reds side for much of the season, but has got his chance in recent weeks due to the absence of Kenny Dougall. Dougall first went on international duty with Australia and then was condemned to the sidelines for the rest of 2018 with an ankle injury. McGeehan – a more attacking midfielder than Dougall - scored against his former club Luton last month and Winkler believes he is showing the best of himself ahead of this weekend's League One visit of Southend. “After his brilliant match (against Luton), starting when Kenny was in Australia, he was very close to the line-up,” the German said. “But now he is in the team, doing his job well, and you can see he is much more self-confident. “Kenny Dougall thinks like a holding midfielder and Cameron, you know he scored a lot of goals a couple of seasons ago, is more an advanced, attacking midfielder. “The gaffer wants him to play easy passes and cover the other midfielders and forward. McGeehan has been challenged to add even more goals to his tally and it is a challenge he is ready to accept. McGeehan will be striking up a midfield partnership with Alex Mowatt who has been in impressive form this season. Both men spent part of last term out on loan – and endured even more frustration – but are thriving under Daniel Stendel this time around. “Al is a good player, similar to myself last season where I had to go out on loan to get his games, and it didn't quite happen for him at Oxford like me at Scunthorpe, in terms of regular football,” McGeehan added. “But we know what the league is about. We are both young and hungry players, both can get goals and Al is a wonderful player.